The high cost and limited range of electric vehicles can make them a tough sell, and their costliest and most limiting component are their batteries. But batteries also open up new design possibilities because they can be shaped in more ways than gasoline tanks and because they can be made of load-bearing materials. If their chemistries can be made safer, batteries could replace conventional door panels and other body parts, potentially making a vehicle significantly lighter, more spacious and cheaper. This could go some way toward helping electric cars compete with gas-powered ones. 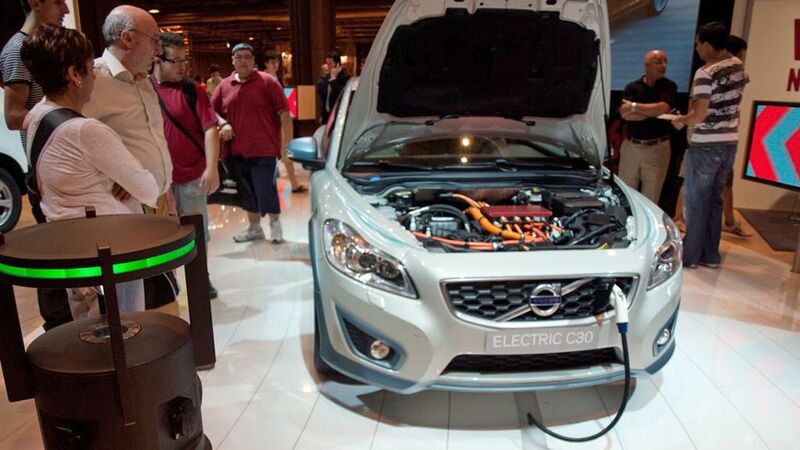 Tesla Motors and Volvo have demonstrated early versions of the general approach by building battery packs that can replace some of the structural material in a conventional car. Dozens of other research groups and companies are taking further steps to make batteries that replace existing body parts, such as body panels and frames. The ability to use batteries as structural materials is currently limited by the use of flammable electrolytes, but researchers are developing safer chemistries that could be used more widely. The approach also raises several practical questions: can the energy-storing body panels be engineered so that even if they’re dented, the car will still work? And how expensive will bodywork be? However, automakers could turn to the approach under pressure to sell more electric vehicles and hybrids to meet stringent future fuel economy standards. Batteries are the single most expensive item in electric cars, so making them cheaper would make electric vehicles cheaper too. But even without significant breakthroughs, new battery designs could make a car lighter. One example is the way Tesla has designed the battery for the Model S. The metal casing that protects the battery also serves to make the car frame more rigid, reducing the overall amount of metal needed. The U.S. Department of Energy’s Advanced Research Projects Agency for Energy is spending $37 million on projects seeking to use batteries as structural materials. (The program is called RANGE, which stands for Robust, Affordable, Next-Generation Energy Storage Systems). In two ARPA-E projects, researchers are figuring out ways to design battery packs to absorb energy in a crash to replace materials now used to protect passengers. For example, rather than packaging battery cells into a solid block, the cells could be allowed to move past each other in an accident, dissipating energy as they do. Most of the approaches being explored so far still use conventional battery cells — the parts of the pack that actually store energy. If safer battery cells can be made, then this would provide even more flexibility in how a car can be designed. You wouldn’t need to enclose them in protective cases or regulate their temperature to prevent battery fires. “When you’re not obsessed with protecting batteries, you can be a lot more creative. You’re not limited to the architecture of conventional cars,” says Ping Liu, who manages and helped conceive of ARPA-E’s RANGE project. To this end, several researchers are developing new chemistries that don’t use flammable electrodes, so the batteries could be safely used as door panels. They’re considering replacing volatile electrolytes with less-flammable polymers, water-based materials and ceramics. Once they have a safer electrolyte, the researchers will look for ways to use the battery electrodes in a cell to bear loads. Volvo has an experimental version of this approach that uses carbon fibers in composite materials to store and conduct electricity but also to strengthen the composites. The device was formed in the shape of a trunk lid. But it could only produce enough electricity to light up some LEDs, so it couldn’t replace the battery in an electric car or a hybrid. A newer version being developed at Imperial College in London replaces the epoxy that ordinarily holds together carbon fibers in a composite with a blend of stiff materials and ionic liquids that can conduct charged molecules. This forms a type of supercapacitor that could store enough energy to be used in place of a battery in a stop-start hybrid. For electric cars and hybrids with larger batteries, supercapacitors don’t store enough energy. So to provide enough driving range, some researchers are developing lithium-ion batteries that use carbon fibers for one electrode, but use conventional lithium-ion materials for the opposite one. Others have developed a nonvolatile polymer electrolyte to replace conventional, flammable ones. The resulting material will make it possible to “do two jobs with one thing,” says Leif Asp, a professor at Lulea University. Several ARPA-E projects are taking this kind of approach. These new electrolytes and load-bearing battery cells are likely more than a decade away from being useful in cars, however. It will be difficult to ensure that the battery stores large amounts of energy and can also be strong enough as a structural component. Asp says the first applications could be in portable electronics, where load-bearing batteries could replace conventional plastic cases. But if car components can one day be made out of such materials, then batteries could finally go from a limiting factor to a selling point. 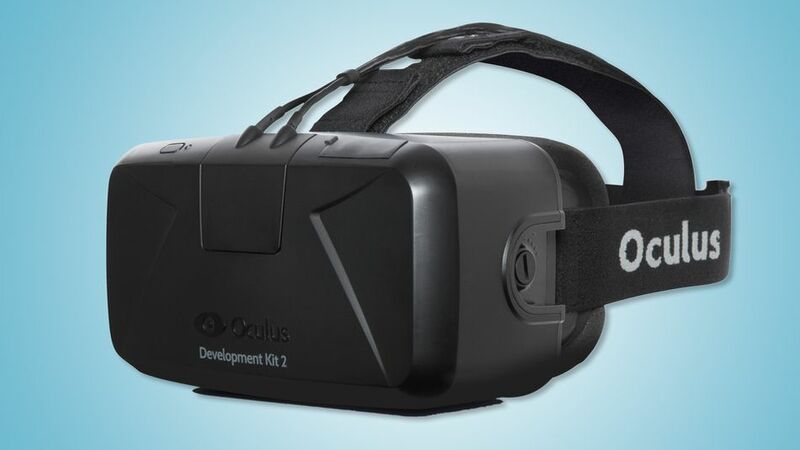 The second generation Oculus Rift will be available for game developers this summer. Game developers interested in creating games in virtual reality will get an upgraded set of tools from the Oculus Rift team this summer, the company announced Wednesday morning. 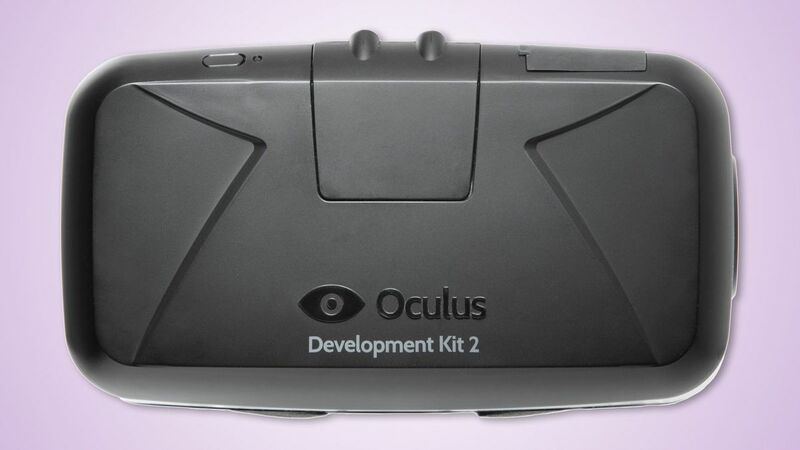 The second-generation Oculus Rift development kit is available for preorder starting Wednesday for developers. The virtual reality headset, which began as a Kickstarter campaign in 2012, now has 50,000 units in the hands of developers interested in creating games for it. Oculus VR Vice President of Product Nate Mitchell said doesn’t resemble anything like consumers will eventually see, but is much farther along the company’s vision for virtual reality than the previous Oculus Rift model. A consumer version is still not under discussion, he added. “We’ve learned a lot of lessons from our original vision,” Mitchell said. The new Oculus Rift headset solves many users’ latency issues; it eliminates the motion blur problems that were easy to spot if you moved your head too quickly. It features a brighter, higher-resolution OLED screen with a 960 x 1080p resolution over each eye, rather than a 640 x 800p resolution over each eye on the current kit. A straight on view of the updated Oculus Rift. 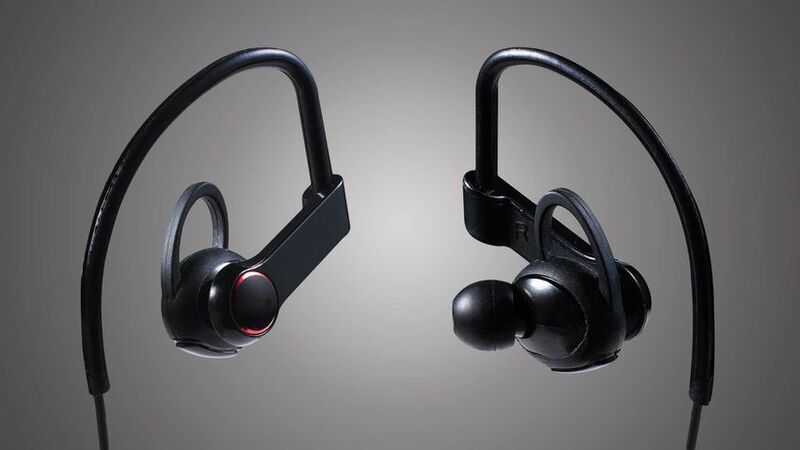 The new headset also boasts improved positional tracking, part of the Crystal Cove prototype the company showed off during CES 2014. Mitchell said that such new features will allow developers to bring many more complex elements into games they produce for virtual reality, including text and UI layouts. Previously, both were previously very difficult to add. The new headset will cost $350 for developers and will ship sometime in July of this year. 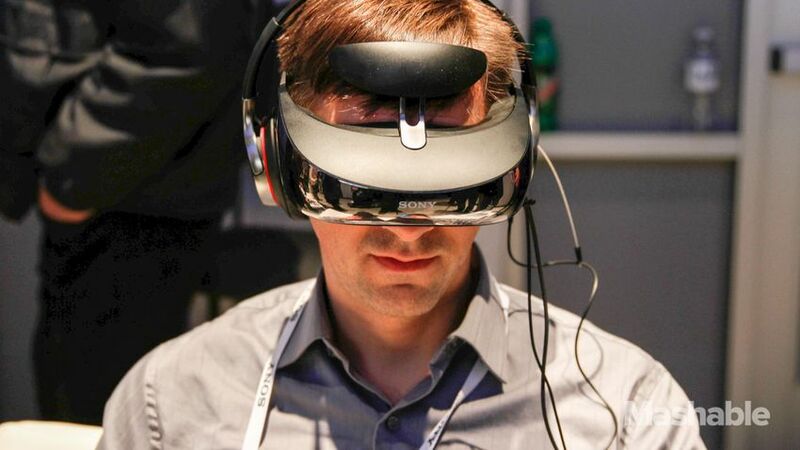 Virtual reality may be the belle of the ball at the Game Developers Conference this week. Sony also used the conference to announce its own virtual reality headset for the PlayStation 4, currently called Project Morpheus. Sony remained mum on setting a date for its headset to reach consumers. 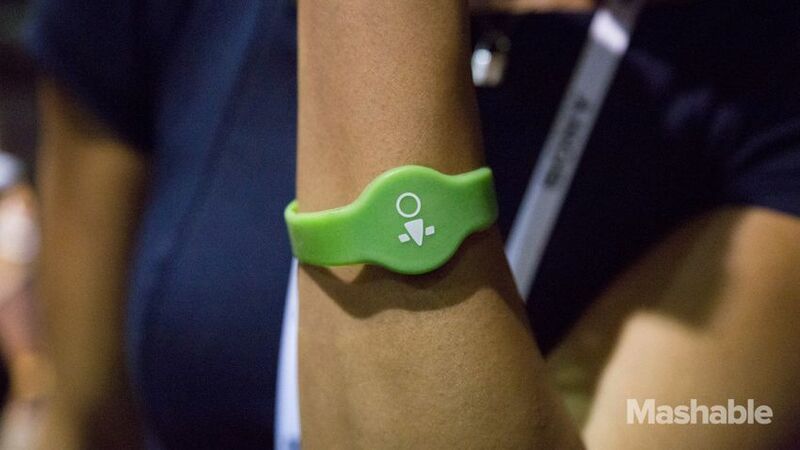 Wearable fitness trackers are sure to be a big trend at the 2014 International CES next week, and Archos is beating the rush by unveiling its candidate a few days early. The Archos Activity Tracker is a wristband that can measure your steps, view your history and let you compete with friends. Similar to the Fitbit Force, the Archos band has a small display that can relay basic data, like the number of steps taken in a day or the amount of calories burned. A full charge of the battery is said to last an entire week, and it charges via USB, just like the Nike+ Fuelband. 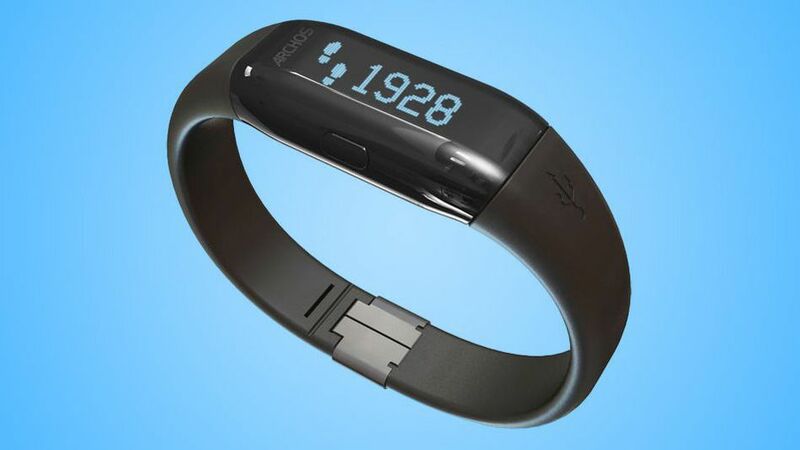 Of course, the Activity Tracker pairs with a dedicated app, which gathers the data from the band wirelessly. In addition to rendering the data graphically, the app will let you compete with up to eight people, similar to “teams” and small-scale social networking favored by other fitness-tracking ecosystems, such as Jawbone’s. In addition to the wristband, Archos is planning a whole line of connected devices for unveiling at CES, including a connected scale, a blood-pressure monitor, a home weather station and a 7-inch tablet designed specifically for “smart home” applications. No prices or release dates have yet been announced. Sony may move into the territory market dominated by the Oculus Rift and other virtual-reality headsets with an upgrade to its head-mounted display. 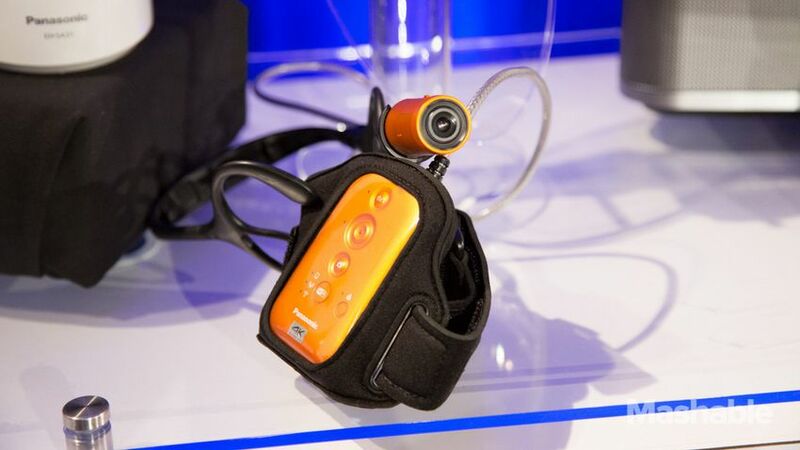 The company’s HMZ-T3W headgear has been around since September of last year, although it was designed to be primarily a video device. With a prototype head tracker attached, the visor-like entertainment device becomes an immersive game environment. 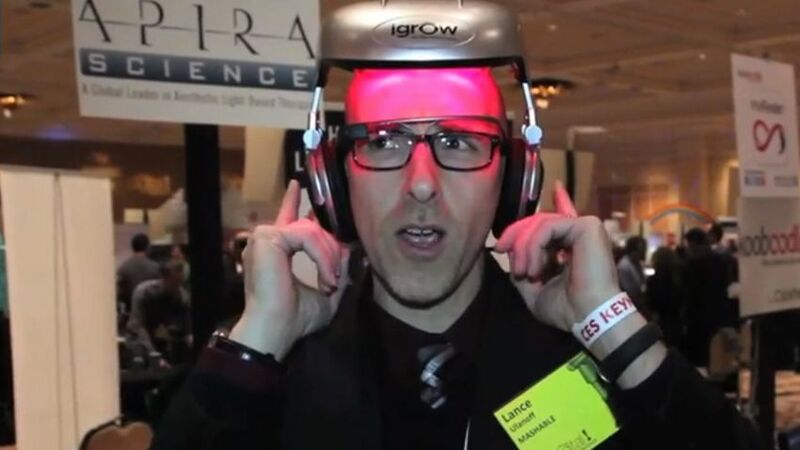 The iGrow Helmet claims to improve hair growth by stimulating weak hair follicles with laser therapy. That’s right, it’s a helmet that shoots lasers at your head. American Pearl is tapping into 3D technology to let customers design their own custom jewelry our of gold, silver and platinum. 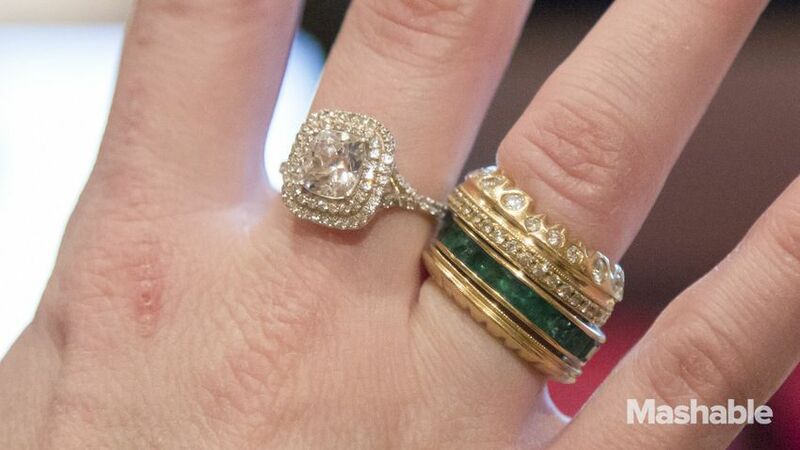 With the lower overhead, the custom jewelry could be cheaper too. 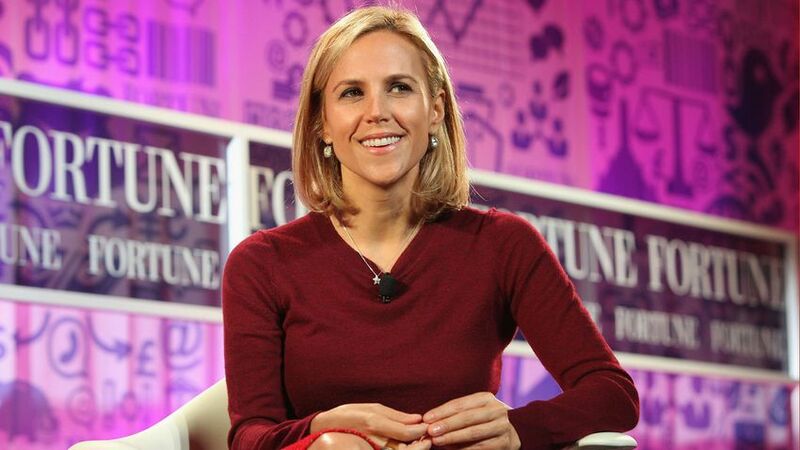 In partnership with FitBit, Tory Burch will develop a fashionable line of necklace and wristband accessories designed to hold the Fitbit Flex. 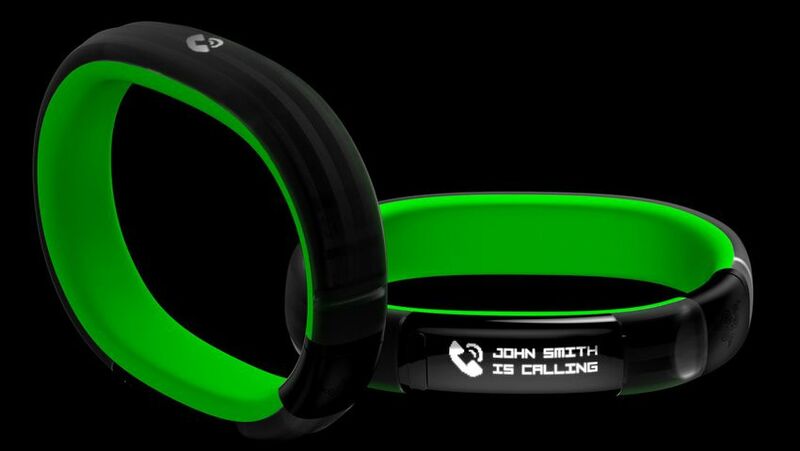 Gaming hardware maker Razer enters the wearable tech market with a hybrid smart watch and activity tracker, called the Razer Nabu. 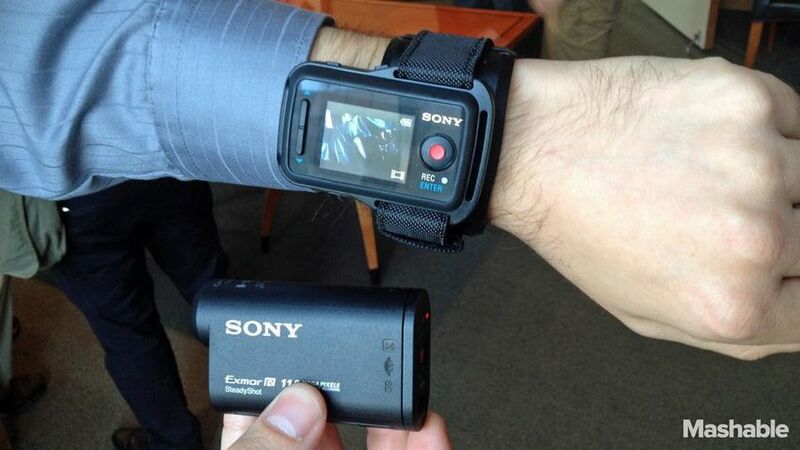 The Sony HDR-AS100V is actually five action cams in one, or at least it can be. Up to five cameras can be “meshed” – networked via an optional wrist controller – so that the user can control footage captured by each cam. 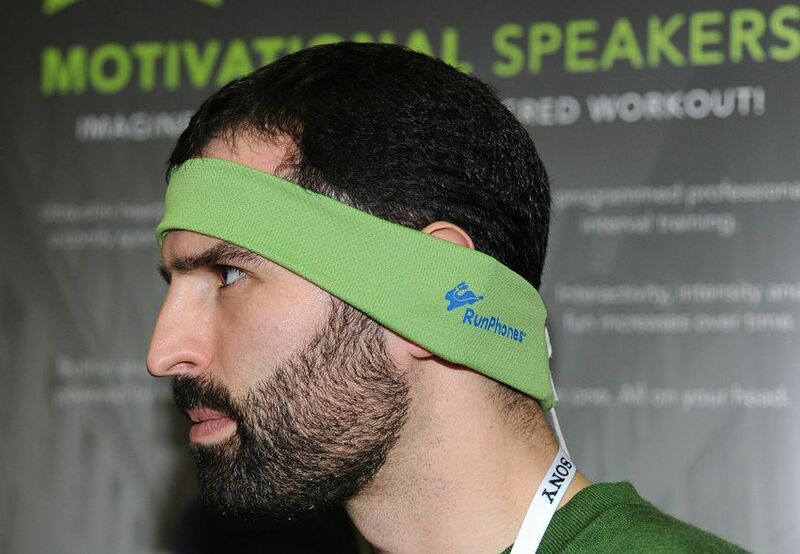 The RunPhones headband combines two of the handiest exercise accessories: headphones and a headband. 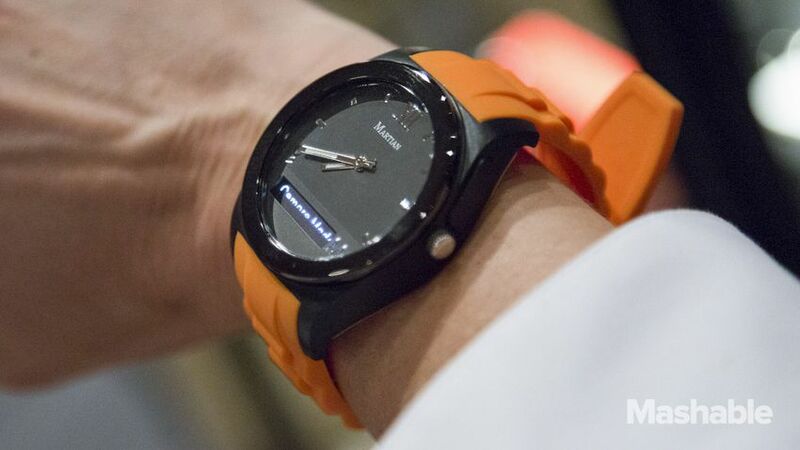 The Martian Notifier is Martian Watches newest smart watch. It’s been slimmed down some, and the price reflects that at $129. Panasonic is working on a 4K wearable camera, enabling the user hands-free recording for sports or other everyday activities. The Sol Republic Relays are designed to fill two niches: everyday wear and fitness wear. 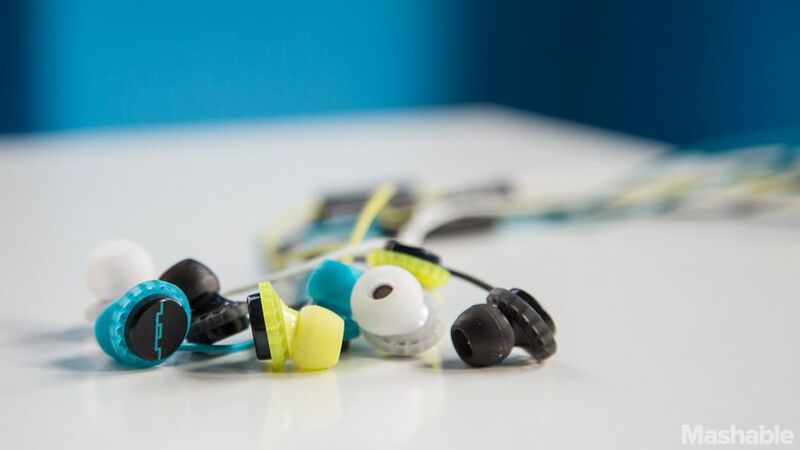 Mashable‘s Pete Pachal reports that the earphones are extremely comfortable and secure-fitting. 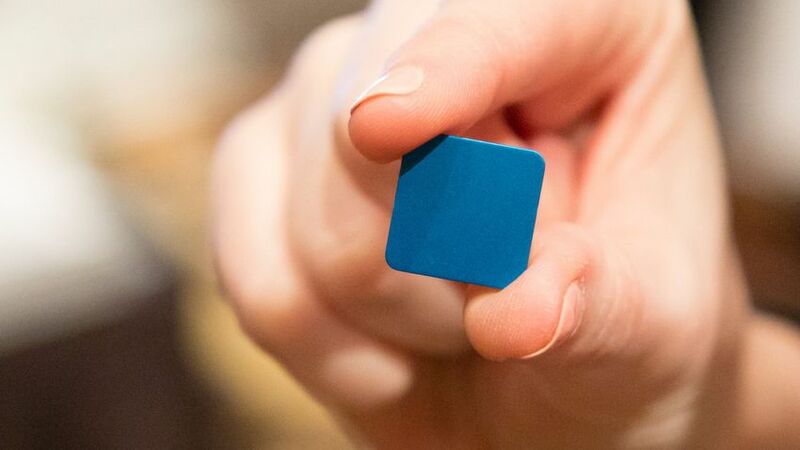 For keyless entry, Ok-i-dokey presents an app, a special smart key, a bracelet (pictured) or a card reader – all as alternatives to sticking a key in a hole. 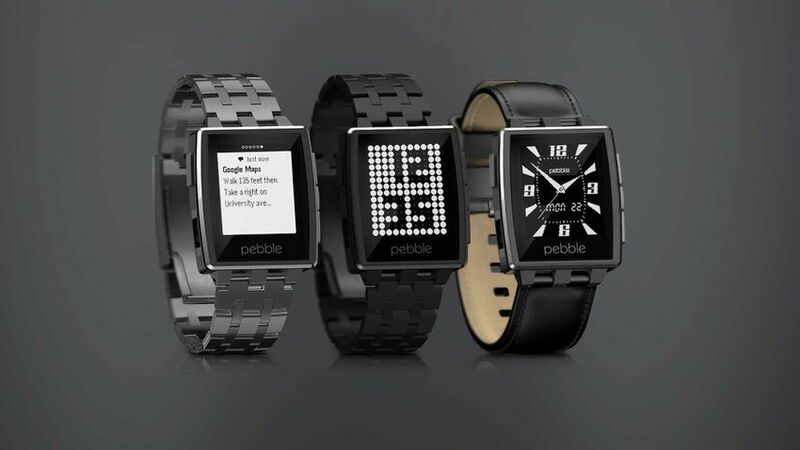 At CES 2014, Pebble debuted its Pebble Steel, a premium smart watch. Like the original Pebble, the Steel is waterproof and has a battery life of 5 to 7 days. The e-paper display is now covered with Corning Gorilla Glass. 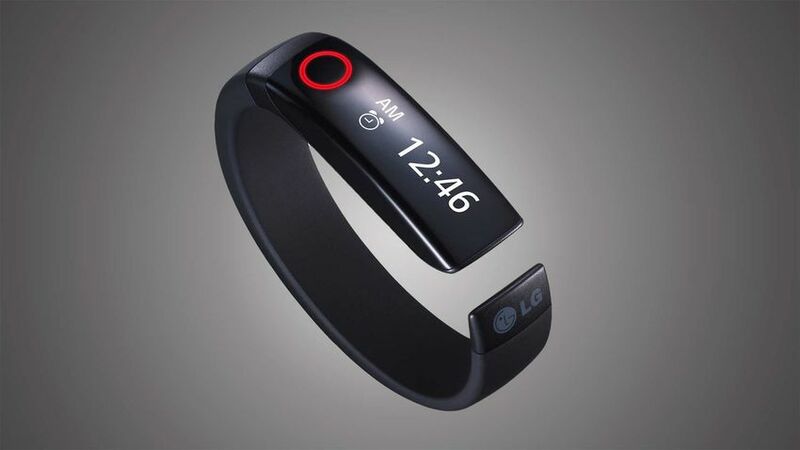 The LG Lifeband Touch is a touchscreen band that allows compatibility with third-party devices, including the company’s LG Heart Rate Earphones. 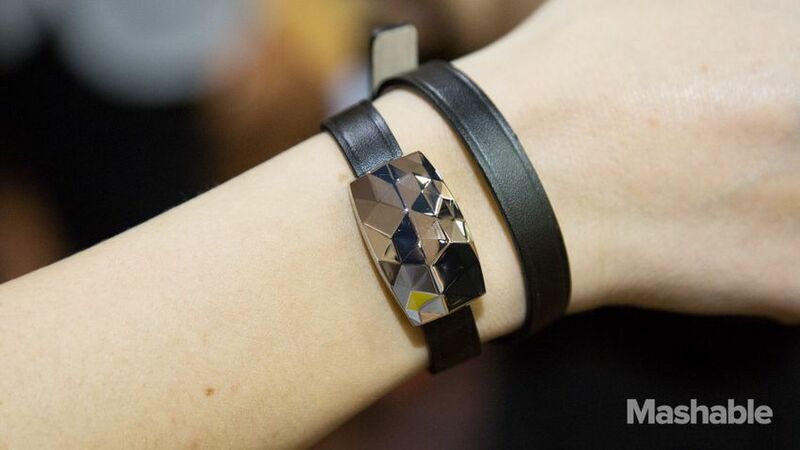 This smart bracelet from Neatatmo measures sun exposure and connects to iOS devices to let users know whether they’ve had too much (or too little) sun. 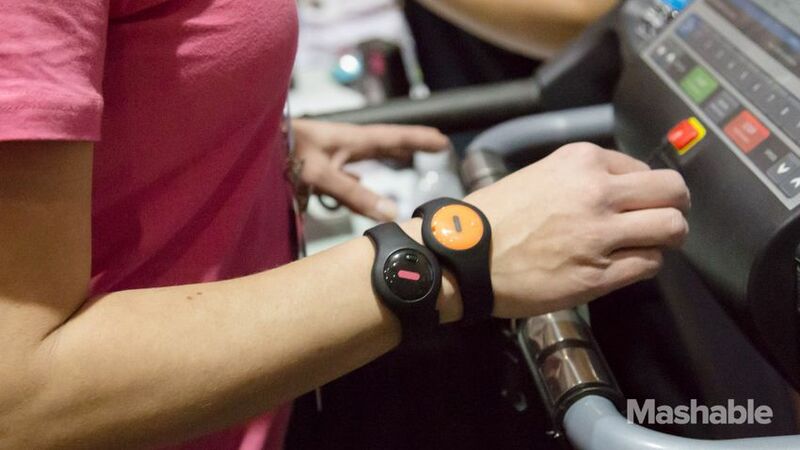 At CES 2014, FitBug unveiled targeted 12-week plans designed to push users toward their specific desired results. Stamped with colorful descriptors such as “no more baby belly,” “bum beautiful” and “gut buster,” FitBug claims its workout programs work as virtual personal trainers. Many of us spend several hours of the day face-down into our laptops. We navigate our cities and communities from the control panels of our smartphones. And at the end of the day, we cozy up with our flat screens or e-readers. Although some people fight mankind’s preoccupation with and dependency on screen technology, it’s safe to say, the jig is up. We’re hooked. And today’s major cities have begun not only to accept our gadget obsession, but to encourage it. It doesn’t matter where you travel, these days. Where there’s electricity, there will be screens — waiting, encouraging and urging your interaction. Head out on the highway (so to speak) and you’ll encounter digital billboards, perfectly alternating advertisements to the flow of traffic. Take a brave trip to New York City’s Times Square, where you can interact with 40-foot-tall augmented reality LED displays. Hop in a TV-outfitted taxi and head out shopping, where store clerks await with mobile credit card readers attached to their iPads. In fact, digital marketing strategies prove so successful that cities are integrating like-minded technology into their very infrastructures, whether through information services, artistic programs or transportation improvements. No matter how long you’ve lived in a community, it’s next to impossible to memorize every bus route, subway stop and train schedule. And let’s not even get started on traffic detours. Companies like Urbanscale aim to seamlessly integrate city services and information into interactive displays throughout cities. 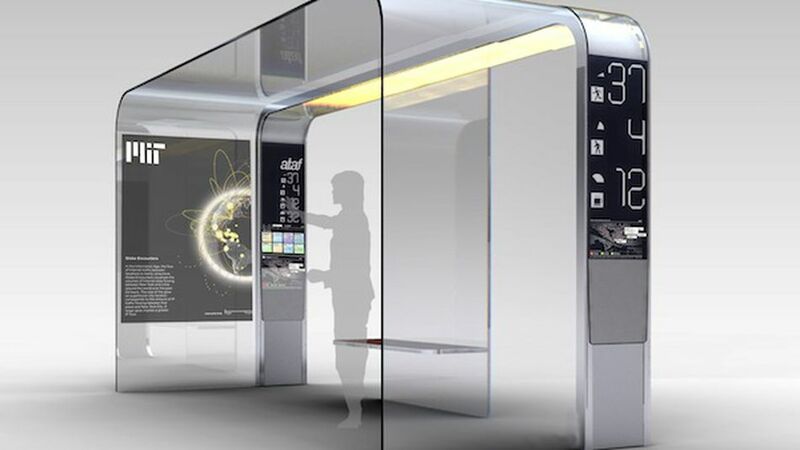 In partnership with Nordkapp, Urbanscale developed the concept for Urbanflow touchscreen stations, which appear like giant smartphones and beckon city dwellers and tourists with targeted city maps. But they’re far from limited to walking directions alone; the stations share hyperlocal services and ambient data, such as traffic density and air quality reports. Local experts can even contribute their own input and knowledge of the surrounding area, making for a rich digital stockpile of up-to-date information. While solutions like Urbanflow provide information for a wide range of location-specific issues, many cities have opted for a more targeted approach, specifically, for improvements in transportation. Developed by MIT SENSEable City Lab, EyeStop represents the cutting edge in “smart urban furniture.” The concept looks like a futuristic bus stop, complete with efficient and easy to read e-ink message boards, weather alerts and even email access. Powered by sunlight, the unit’s environmental sensors would also detect air pollutants and weather changes. Plus, the EyeStop glows at different intensities as nearby buses approach. While some cities are implementing completely new and innovative systems, others are looking to upgrade to intuitive tablet technology already ubiquitous in everyday life. New York City launched a pilot program to replace 250 nearly obsolete pay phones with tablet screens that provide information on local attractions, city maps, public transit updates and even Wi-Fi. And mobile credit card payment service Square proposed that the New York City Taxi & Limousine Commission embed iPads into 30 of its cabs. Not surprisingly, the tablets would also be equipped with Square technology, which would enable passengers to pay with credit card, sign the screen with their fingers and even email the receipt to themselves. But screen technology doesn’t always necessitate strict utility. A huge priority for many cities is public art that demonstrates aestheticism and usefulness. Take MIT’s Light Bridge Project, composed of Panasonic Electric Works’ NaPiOn infrared motion/proximity sensors. The sensors activate colorful LED lights that interact with pedestrian movement. Depending on the type and amount of traffic, the lights alternate between different programs of patterns and colors, using proximity sensors, cameras, buttons, microphones and mobile phones. The project’s aim is to marry traditional lighting concepts with reactive urban screen solutions. Increasingly, artists are also finding inspiration in digital. At this year’s Philadelphia International Flower Show, creative media agency Klip Collective partnered with GMR Design to design and build an ethereal “wave wall,” essentially a giant sloping dome of screens. On it, they projected a “calming display of undulating projection waves of sea creatures and flower blossoms.” Nearby, a Hawaiian temple featured multidimensional video-mapped animations that taught curious visitors about Pele, Hawaii’s female fire god. But what happens when an artist requires a colossal canvas? (No, we’re not talking murals.) Increasingly, multimedia artists are turning to available city infrastructure to project their visions. And they’re not thinking small, that’s for sure. Video mapping and projection technology are mobilizing large groups of people to get to know their surroundings. Some installations even encourage spectators to interact with these large-scale screens as if they were games. People in Lyon, France, celebrate the Festival of Lights with an installation called “The Urban Flipper,” a type of digital graffiti, which when projected on the side of a theater, creates a giant, interactive game of pinball. In the Netherlands, 3D mapping company NuFormer debuted what it calls “mocapping,” a combination of 3D video mapping projection and live motion capture technology. It projects animated light onto a rectangular building, effectively transforming the structure into a futuristic spaceship-like scene. What’s more, the character in the scene asked questions of and responded to spectators. Thus, each performance was different. Some video mapping art even seeks to change the perception of architecture itself, as if a building were made of hundreds of moving television screens. The following video shows how design collective URBANSCREEN created optical illusions in the “sails” of the Sydney Opera House. Motion graphics are projected onto the white surfaces, which dimple with movement like actual sails. It’s the festival’s most public event, inspiring attendees and visitors citywide. Whether to inspire or educate, cities around the world are implementing smart screens for tech-eager residents. Hopefully, they’ll encourage us to take a breather from our self-isolating smartphones and tablets for a moment to interact with the communities and residents around us. Have you encountered public screens, whether introduced by city governments or artists? How is your city welcoming the latest in responsive screen technology? These systems have an important limitation, however. 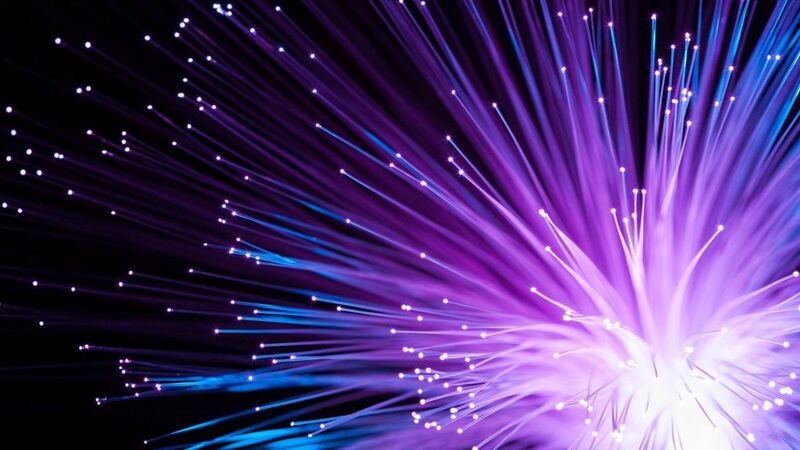 The current generation of quantum cryptography systems are point-to-point connections over a single length of fibre, So they can send secure messages from A to B but cannot route this information onwards to C, D, E or F.
Today, Richard Hughes and his team at Los Alamos National Labs in New Mexico reveal an alternative quantum Internet, which they say they’ve been running for two and half years. Their approach is to create a quantum network based around a hub and spoke-type network. All messages get routed from any point in the network to another via this central hub. Hughes and co say they’ve solved this with their unique approach which equips each node in the network with quantum transmitters—ie lasers—but not with photon detectors which are expensive and bulky. Only the hub is capable of receiving a quantum message (although all nodes can send and receiving conventional messages in the normal way). The big advantage of this system is that it makes the technology required at each node extremely simple—essentially little more than a laser. In fact, Los Alamos has already designed and built plug-and-play type modules that are about the size of a box of matches. “Our next-generation [module] will be an order of magnitude smaller in each linear dimension,” they say. Having run this system now for more than two years, Los Alamos are now highly confident in its efficacy. Google co-founder Sergey Brin revealed one of the features of Google Glass — the upcoming headset/eyewear device the search giant is developing — in an email to followers today. Copying a post he had shared to followers of Project Glass on Google+, Brin said he was trying out a new feature of the product that automatically takes a photo every 10 seconds. Brin said he had the mode engaged while he was driving in Montana, with the device sending all the pics to his Google+ account via instant upload. 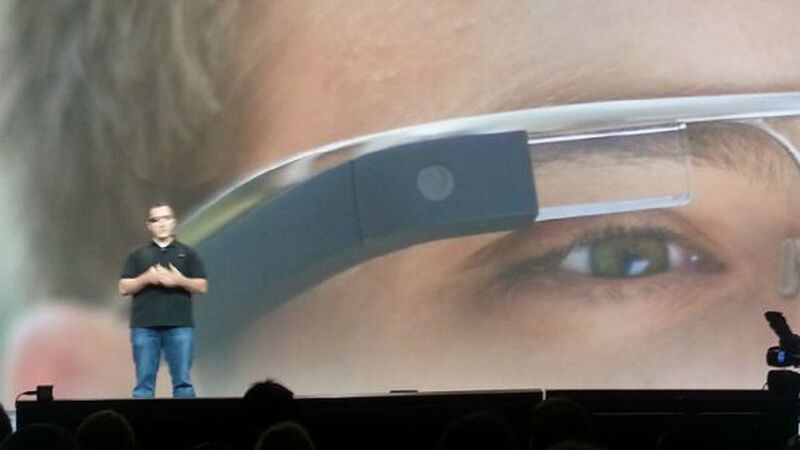 It appears only attendees of Google I/O who signed up for Google Glass received the email. On the Google+ post, however, Brin encourages followers to leave a comment and provide feedback on the project. He also promises that Google has some “great things” coming the next few months. He’ll have a tough time topping his spectacular skydive at the I/O conference. Although it was first reported Google Glass would go on sale before the end of 2012, Brin himself has said it’ll be ready for consumers by 2014. Developers who were interested in receiving one of the prototypes were asked to commit to paying $1,500 for each one, though that figure has no bearing on what the retail price will be. What do you think of the latest news about Google Glass? Does automatic picture taking sound like a feature you’d use? Share your thoughts in the comments. 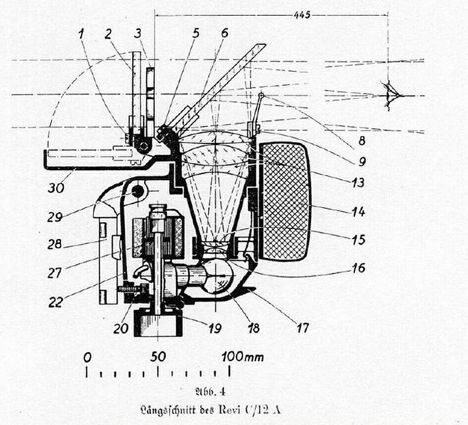 The HUD we know today evolved from the reflector sight on German planes in 1937. They allowed targeting assistance to be added to a scope for pilots to more easily aim. Eventually it incorporated displaying information such as air speed velocity and attack angle that made it easier for pilots to hit targets. The Blackburn Buccaneer developed for the British Royal Navy and Royal Air Force was the first plane with a built-in heads-up display. It was prototyped in 1958, but flew for the British from 1968 until 1994. It was a low-flying bomber that was used as late as the Gulf War. After Britain noticed success in pilots who used a HUD, French test-pilot Gilbert Klopfstein developed the first standardized heads-up display for use in aircraft, so pilots would not have to refamiliarize themselves each time they entered a different plane. As is the case with many technologies, standardization is often the path to mainstream acceptance, as this moved HUD into wide military use. While the earliest uses of HUDs on commercial aircraft were in the 1970s, it hadn’t reached wider use until it was added to Boeing 737 in the 1990s. Now it’s on several Airbus and CanadaAir planes as well. The HUDs help commercial pilots take off and land in inclement weather and also displays airspeed, altitude and flight path. The first heads-up display was added to the Oldsmobile Cutlass Supreme in 1988. There were also some included on Toyotas in 1991. Currently, heads-up displays are offered by many different car manufacturers, and as third-party add-ons. While many simply display a speedometer and tachometer, newer models can also display navigation directions. 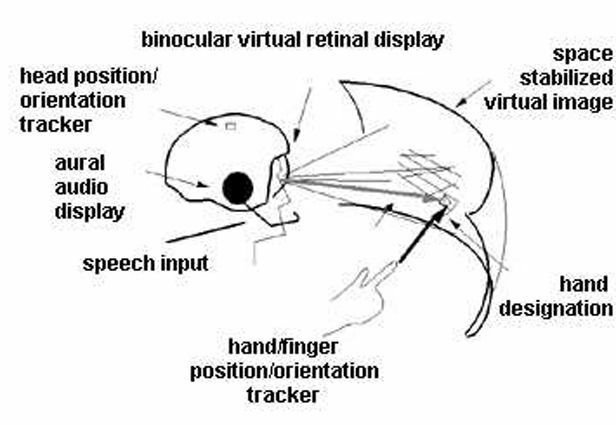 Virtual Retina Displays shoot a beam of light directly on the retina to display an image in front of the wearer’s eye. The technology has been in development since 1991 and has many applications, many for military and medical use. It will allow for the development of head-mounted displays, which serve as a HUD for the human eye. The technology has been proven safe by the FDA, has already had some practical applications. The Navy was developing a model for pilots that would help them see better in bright light, and allow for touch interaction. 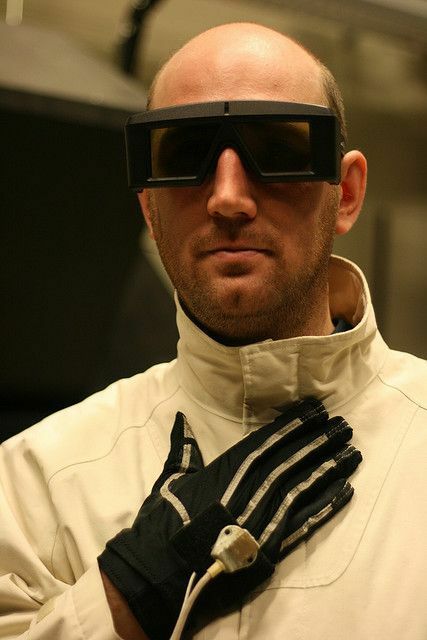 Image courtesy HIT Lab, Washington University. Heads-up displays are appearing on more consumer technology, including ski goggles with a built in HUD, tools for runners, and, as mentioned before, more complicated automobile peripherals. MicroVision is the company with many of the contracts for consumer technology, and it is currently working with Pioneer to create a large heads-up display that can work with your smartphone to add in directions. 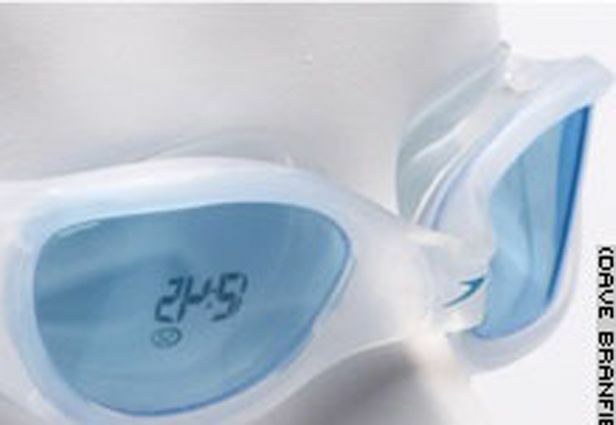 Image of a 2005 concept of swim goggles that would display your time, from CNN. 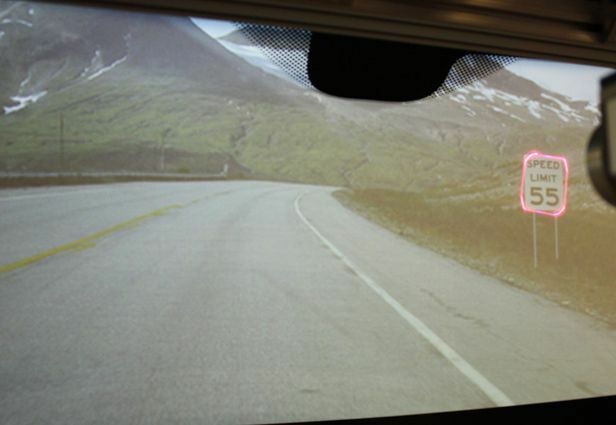 Microvision’s website boasts several different applications for heads-up displays, from military to gaming. The only products it has available commercially though are pocket projectors. General Motors is working on a full windshield heads-up display that will work with elements of augmented reality to highlight roads and street signs, display GPS directions, and even display the building you’re driving toward so drivers can easily find their destination. Google’s HUD glasses, which are still only rumored to be in production, would supposedly work with the Android OS and 3G to display different kinds of information to the wearer. 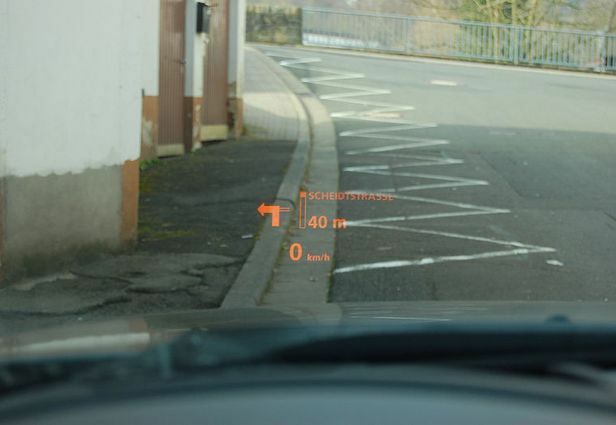 If the the rumors are true, it’s definitely a step closer to the science fiction angle of heads-up displays. Image courtesy Zebra Pares, Flickr. After coming out of beta last week, Nokia‘s augmented reality app, Nokia City Lens, is due for another update with plenty of new features. The upcoming Windows Phone 8 version of the app, which will work on Nokia’s Lumia 920 and 820 smartphones, is set to debut 3D icons, as well as the option of filtering search results to only show those in your line of sight. Some WP8-specific features will also be added to the app, including the ability to pin to start any category, and to customize the menu by adding your favorite searches. Perhaps most importantly, the app will work in both landscape and portrait modes. 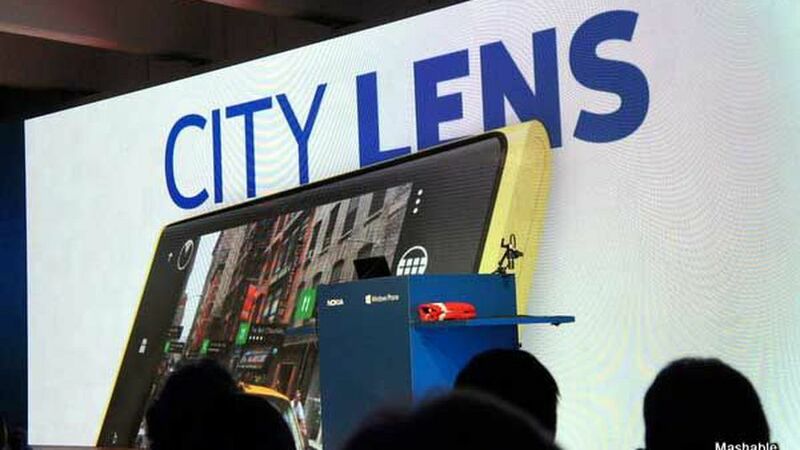 Nokia has yet to comment on the exact release date of its newest version of City Lens. Would you download the app? Tell us in the comments below. Google will unveil several new devices and a software update at its scheduled Oct. 29 press event, according to a company video leaked from an all-hands meeting. The Next Web is reporting Google has distributed an internal video that details and confirms speculations about what might be revealed at the upcoming event. The video reportedly discusses the launch of a 32GB version of the Nexus 7 tablet, as well as one with 3G support. It also indicates Google is working with manufacturer Samsung to release a 10-inch tablet called “Nexus 10” that will run Android 4.2 (“Key Lime Pie”), and a Nexus smartphone manufactured by LG. 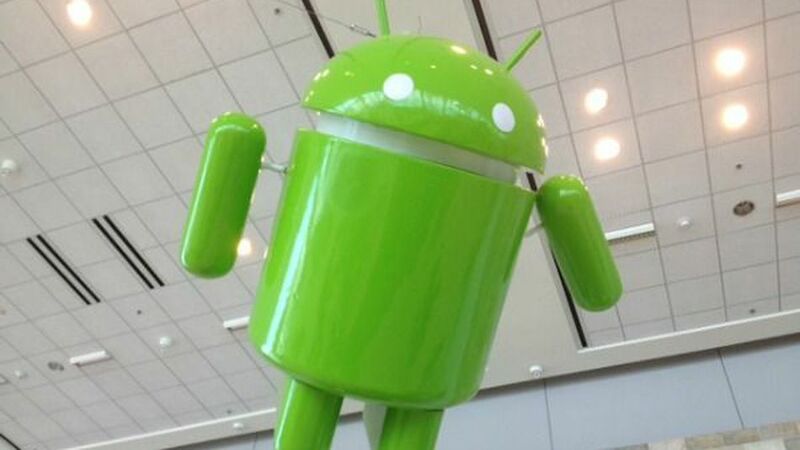 Meanwhile, the new Android 4.2 mobile operating system will include a panoramic camera option and “tablet sharing” capabilities, which would allow more than one user to access the device with his own set of email and apps — similar to how a family or business can switch between user settings on a Windows computer. Earlier this week, Google sent invitations to the press for an Android event to be held in New York City. Although the invitation didn’t detail what might occur, the tagline — “the playground is open” — suggests it will have to do with Google Play, the company’s newly-rebranded Andriod Market. The news came as Microsoft prepares for its Windows Phone 8 launch event, which will also be held on Oct. 29 — and Apple gears up to unveil its rumored 7.85-inch iPad on Tuesday, Oct. 23. Google’s new Samsung tablet is reportedly being filed under the name “Codename Manta.” The device is expected to have a 2560×1600 pixel resolution and 300ppi, which is greater than the iPad’s 264ppi. Meanwhile, the 4.7-inch Nexus smartphone manufactured by LG is said to tout a quad-core 1.5 GHz Qualcomm APQ8064 Snapdragon processor, a 1280×768 display, 2GB of RAM and 16GB storage. You can start every morning with this alarm clock app. If waking up is tough for you, this app lets you set several alarms, each with its own ring tone. Are you the type that sub-consciously turns your alarm off in your sleep? There’s a math feature that makes you solve a simple equation to dismiss it. This way, you know when it’s really time to get out of bed. For $.99 more, you can also get the app with no ads. What’s great about CardioTrainer is that it allows you to choose how active or passive you want to be with it. Whether it’s to map out a run, track your distance over time or log in your weight loss goals, the app does it all for you. Your music library is also synced to the app, so it makes for a nice one-stop shop, rather than having several apps open during your workout. When you don’t want to stream music on apps such as Spotify or Pandora, Google Music is great because it lets you access your library from mobile and desktop browsers across platforms. The service is free, and Google offers free songs to download, but you can also purchase tracks or full albums from the Android Market. You’re also able to share a free full play of songs you’ve purchased from the market with your friends on Google+. Never stare at a subway map again. 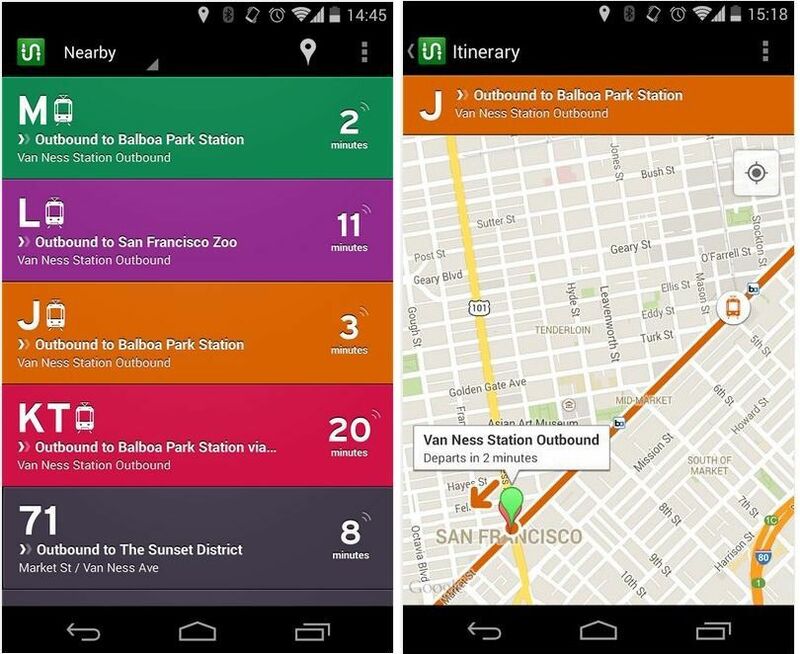 Transit App will show you the quickest and easiest ways to get from place to place in 77 metro areas in the United States and Europe. For seamless collection of documents, photos and videos, Dropbox makes it easy to stay organized. Access your files from any web browser as well as your mobile device. This makes all of your important content more secure — if your Android breaks or gets lost, you still have everything backed up. Looking for a quick bite to eat, or maybe a nice restaurant for a date? 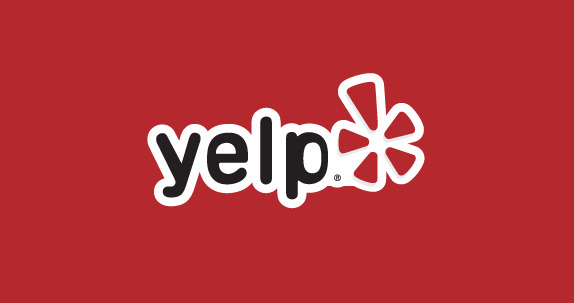 Yelp is good for areas you might not be familiar with, or if you’re just looking for something new. The app also has an augmented reality “monocle” that uses your camera’s viewfinder to tell you what shops and restaurants are around. 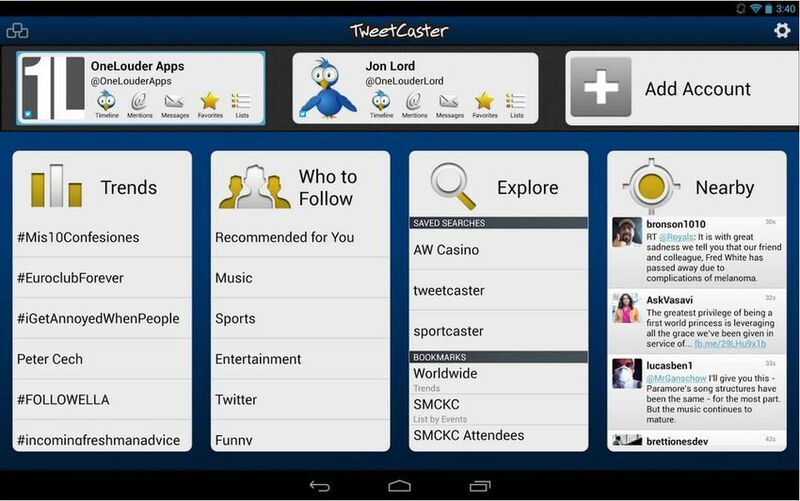 TweetCaster does for your phone what TweetDeck does for your computer. Organize your timeline into categories, schedule tweets and manage multiple accounts with this app. You can also look at your most favorited and retweeted tweets and even edit photos before you post them. When you want to catch up on all of your favorite blogs and news sites, Pulse is great because it puts everything into an attractive mosaic that’s easy to browse. You can also save for reading later across platforms, or sync with Instapaper, Read It Later and Evernote. Pulse also makes it easy to share via Facebook and Twitter. When you need to take notes in a meeting, create a grocery list or otherwise stay productive, consider Evernote your digital notepad. The app makes your notes searchable, lets you capture photos and record voice reminders as well. Whenever and wherever you watch a movie or show on Netflix, you can pick up right where you left off on your TV, computer and Android device. A paid Netflix subscription is required, of course. Top 10 Tech is presented by Chivas. Access a world of exclusive insider benefits – private tastings, special events and the chance to win a trip for you and three friends to the Cannes Film Festival. Join the Brotherhood. The Kepler Motion hybrid electric supercar has blossomed way beyond the concept stage, now in full-throated prototype form. If you missed Reddit’s “ask me almost anything” (AMAA) session with the Microsoft Surface team on Tuesday, we have a round-up of the proceedings. JVC unveiled a 55-inch 3D HDTV that promises sound quality so good there’s no need for additional audio enhancements. Romo, a pint-sized personal robot that combines the brain power of a smartphone and the wheels of a radio-controlled car refutes what retro sci-fi films made us believe — that robots are always large, clunky machines. The Nikon CoolPix S800c is the world’s first Android-powered point-and-shoot camera, meant to bridge the worlds of mobile technology and cameras like nothing before it. Logitech launched a Bluetooth keyboard that can pair up seamlessly with your tablet, computer and mobile phone. HTC has launched a new flagship Android smartphone with a 5-inch, 1080p display, called the HTC J Butterfly. The Beam Brush plays two minutes of music while you brush, so you can scrub your pearly whites the recommended amount of time while the tracking sensor will let you track your brushing habits to earn real rewards. Boxee announced its newest set-top box Tuesday, Boxee TV, a new device that combines live broadcast TV, a cloud-based DVR system and Internet apps such as Netflix all in one. 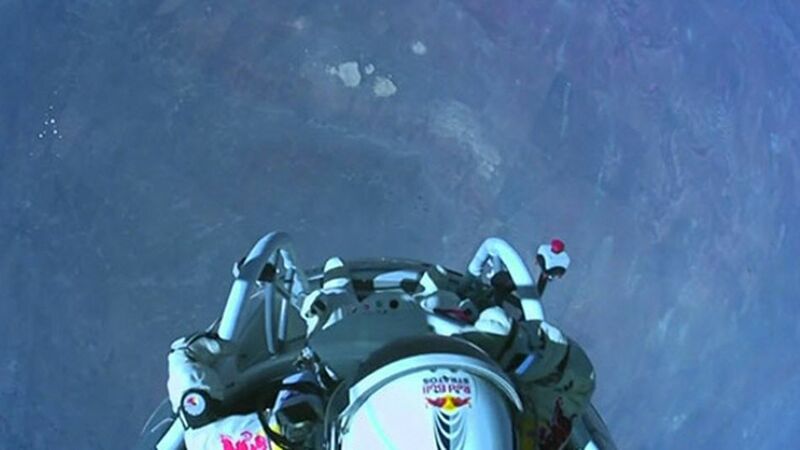 Felix Baumgartner jumped from a capsule dangling from a balloon at 128,120 feet Sunday, breaking the record for the highest-altitude skydive in history and becoming the first human to break the speed of sound recording a speed of Mach 1.24 — or 833.9 miles per hour.